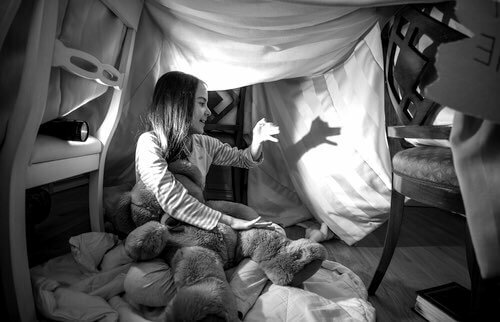 Learn how to make hand shadow puppets with your hands and you will never be at a loss to entertain kids when they're bored or on a camping holiday or when there's nothing to watch on the television. All you need is your hands, a flashlight, and a wall for a screen. 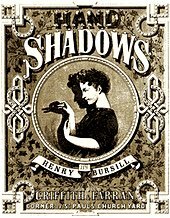 Shadography was a popular amusement throughout the Victorian Era, and it was enjoyed in the early 1900s before electric lighting and newer forms of home entertainment became popular. 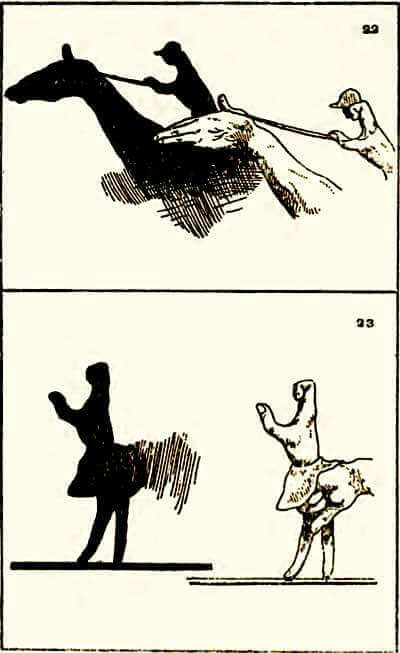 My elderly aunt once shared with me her recollections of a visitor to their home entertaining the entire family with hand shadows one evening during the Great Depression of the 1930s. 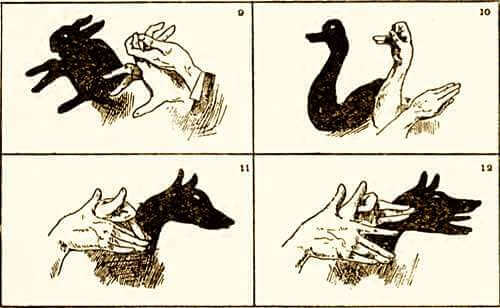 The man had sat in front of a coal oil table lamp, and the shadow puppets were skillfully presented on the kitchen wall. The old fashioned coal oil lamps and candles simply gave off better shadows than today's bright light bulbs that tend to illuminate the entire room. The sharpest shadows come from a small, bright light source. A single lighted candle was favored by the Victorians, but a small flashlight, or a small, clear appliance bulb can also be used to good effect. Just keep in mind that the light source must be small and bright enough to throw a clearly defined shadow in the darkened room. 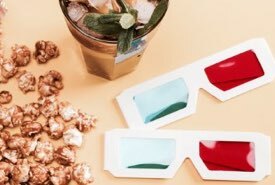 Simply use a white or very lightly colored wall for the screen. A white sheet hung over a door can serve the same purpose. 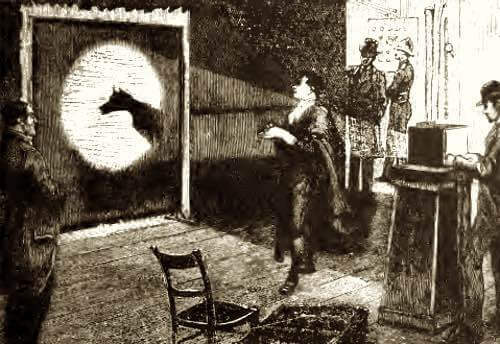 As an alternative, a white sheet can be suspended in an open doorway to permit the audience to sit in a darkened room in front of the screen while the performer remains in the room behind the screen. 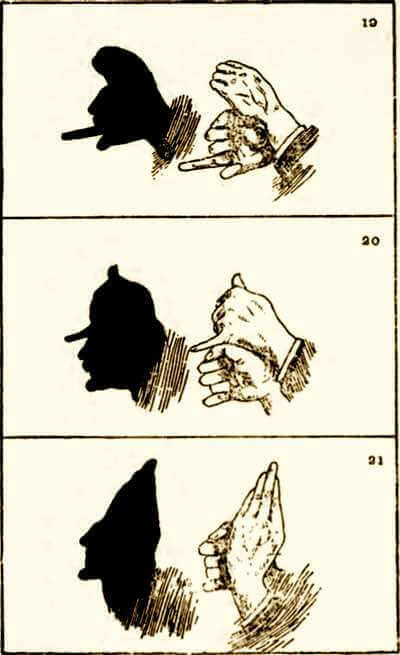 One of the greatest performers of hand shadows was the French entertainer Félicien Trewey (1848-1920). 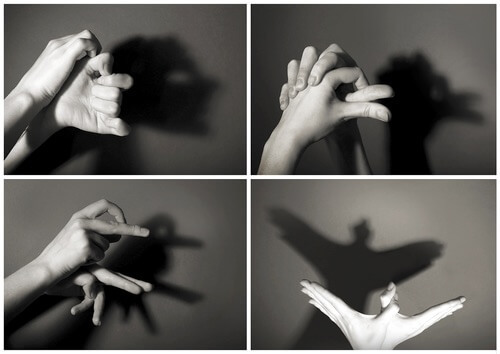 He perfected many popular hand shadow animals that other entertainers copied and added to their acts. 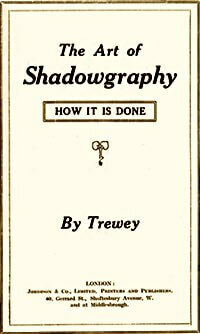 Though greatly skilled in mime, balancing objects, and legerdemain, the "shadowgraph" in Trewey's performance surprised and amused most. His amazing measure of dexterity was described as "Treweyism." 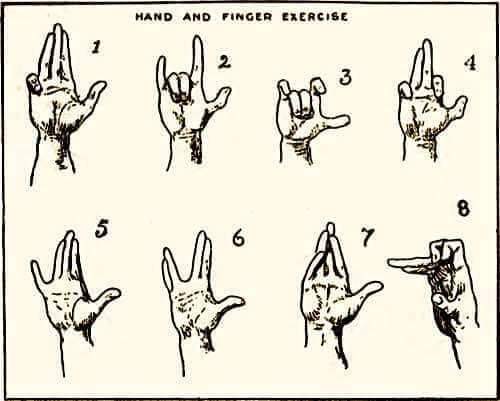 The following eight positions of the hand and fingers being exercised, will give to the beginner very valuable assistance. Figs. 1-8 below. 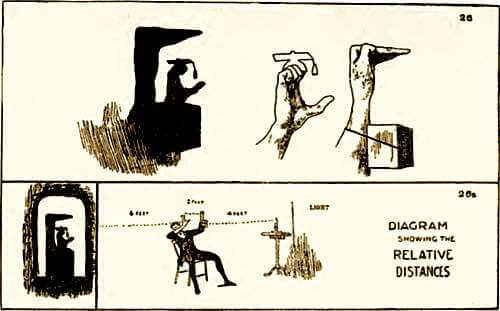 The most convenient distance of the light from the hands is four feet, and about six feet from the hands to the wall or screen on to which the shadows are to be thrown. 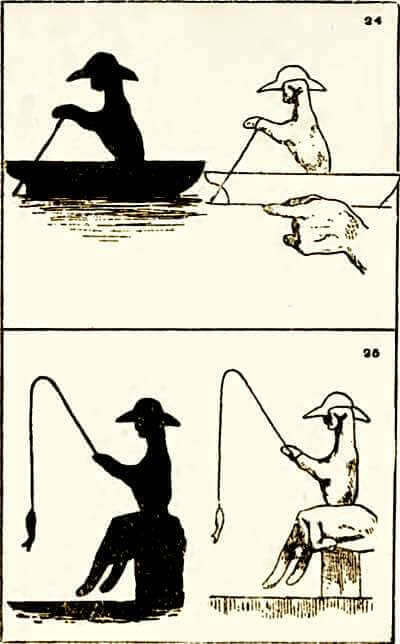 It will often be found necessary, in order to gain a desirable effect, to turn the hands a little to the right or to the left. The amateur should be careful to cover any mirror in the room which would reflect the light and cause two shadows. Fig 9 — The Rabbit. Many works have been produced to explain and illustrate "Shadows on the Wall," and almost invariably have begun with a rabbit. 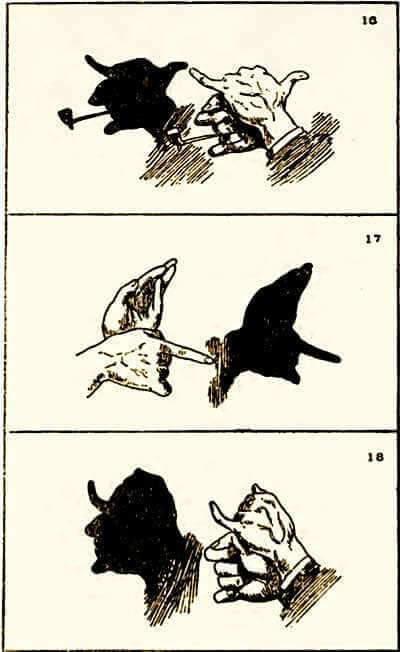 If there be any who do not know how to perform this, a glance at the illustration will suffice to instruct. Fig. 10 — The Swan. Fig. 15 — The Cat, were perfected by Trewey. Fig. 21 — Robinson Crusoe were Trewey's inventions. Fig. 23 — The Rope Dancer were invented by Trewey during a visit to the Alhambra (a palace, fortress complex located in Granada, Andalusia, Spain). Fig. 25 — The Fisherman were first produced. Fig. 26 — The perfection of the Preacher. Fig. 26a — Shews the mode by which the Preacher is performed. Fig. 27 — The Policeman is the "follower" of the servant girl. 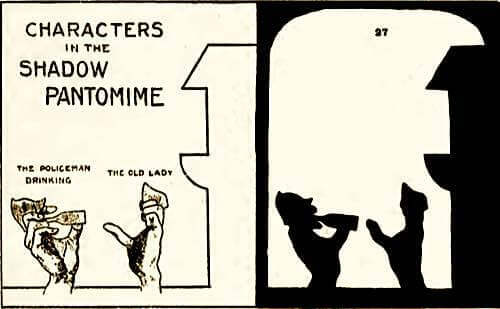 He knocks at the door, and the girl appears at the upstairs window, and after an exchange of compliments, the girl withdraws herself from the window and reappears at the door. She gives to the policeman a drink from the bottle; and he, after wiping his beard, kisses her and retires. Fig. 28 — Then comes the itinerant musician, playing a doleful air upon the clarinet. Paterfamilias* comes to the bedroom window, and motions the player away, but the musician derisively strikes up a lively tune, and Paterfamilias now makes his appearance armed with a long broom with which he thrashes him. 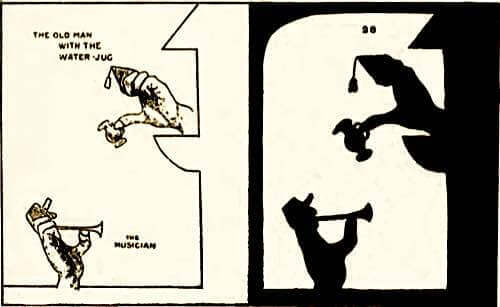 The musician still persisting, Paterfamilias next produces the water jug and pours the contents upon the head of the luckless serenader who quickly makes his exit. * The Paterfamilias was the oldest male in a household, the head of a Roman family. 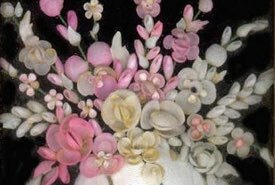 It will be noticed that the little accessories, such as the helmet for the policeman, the broom, etc., are little articles which may easily be cut from pasteboard, and, where necessary, attached to the figures by means of an India-rubber ring fastened to the properties. The water jug, however, must be an actual little vessel in order to contain sand, which when poured out, gives all the appearance of a flow of water. 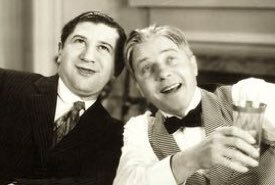 The amateur, with perseverance, can achieve all the results set forth in this book, and with a little ingenuity may possibly invent others, and the amusement afforded will prove ample repayment for his labor. "Some of my sketches were made years ago, others when a student at the Academy. Indeed, the Shadows have often been displayed on the walls of my studio, much to the amusement of fellow-students who would, I am sure, at any time bear witness to their originality." 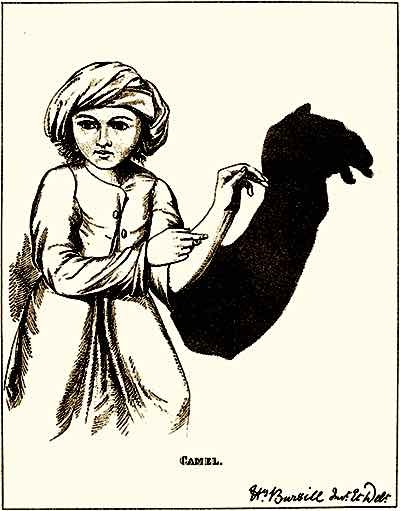 If you love the art of shadowgraphy, you'll love Bursill's book. 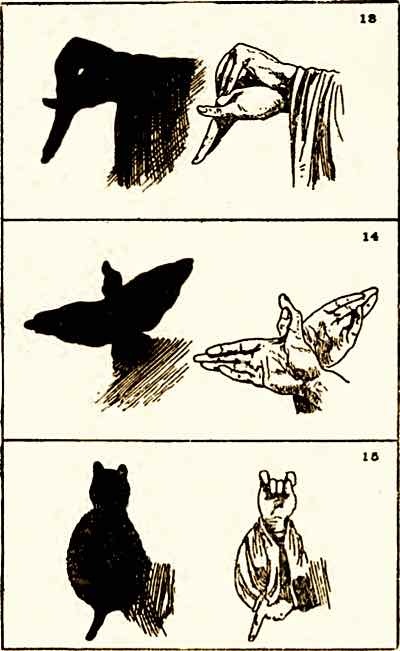 It includes a collection of illustrations that reveal how to form figures of animals, birds, and people simply by using your hands to cast shadows. Use the form below to access a secure page where you can instantly download your FREE PDF copy of Henry Bursill's 21-page book that you can view online or print out for reading. Yes, I wish to access my free copy of Henry Bursill's book.